Prayer is practically how we bring in God’s kingdom. If it wasn’t then Jesus probably wouldn’t have prayed in Matthew 6:10, “Your kingdom come.” In creation man received a two-fold commission. Being the only creature in the universe with God’s image, man is first to express God (Gen. 1:26). Having been given dominion over the earth and charged to subdue it, man is second to represent God in His authority (Gen. 1:26, 28). This is a tall order to say the least… To truly express God and properly represent God is not a small thing. We’ve been given a role in carrying out God’s eternal purpose. It’s a noble job description, for sure, but hardly one we have confidence in saying we’re capable of carrying out. Daniel became nothing. But in the midst of that intense suffering God and His eternal purpose became everything. A desperate man prays desperate prayers. And Daniel’s prayer was exactly what God used to return His people from captivity. 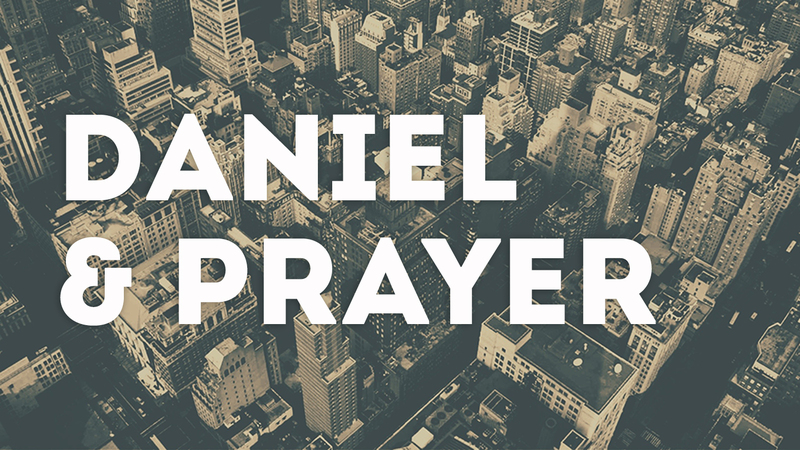 Daniel understood, so he set his face to seek God in prayer. This was a determined man praying burdened prayers that God might move on the earth. Verse 19 of the same chapter tells us what this kind of prayer sounds like. We have recently moved from West to East coast to a new locality. We can surely say that without prayer, desperate prayer there is no way for God to gain what He is after and bring in His kingdom. I agree…we better pray. O’ Lord Your kingdom come! Thanks for sharing. Your experience sounds like one of valuable building to the body of Christ. We’d love to here more about it if you’d like to share.